Incline Village is a small community nestled on the Northshore of Lake Tahoe where you can relax and breathe the incredibly clean and crisp mountain air, soak up the Tahoe sun (we have an average 285 days of sun a year) and enjoy the natural splendor of the majestic mountains and clear lake. Here you can enjoy all the luxuries of resort living and explore all the adventures offered by the natural beauty of the lake and mountains. We have numerous hiking and snow-shoe trails, both downhill and cross-country skiing, boating, rafting, swimming, camping, and fishing, plus golf and tennis all at your doorstep. Once you have experienced the serene and relaxed lifestyle at Lake Tahoe, you will never want to leave! 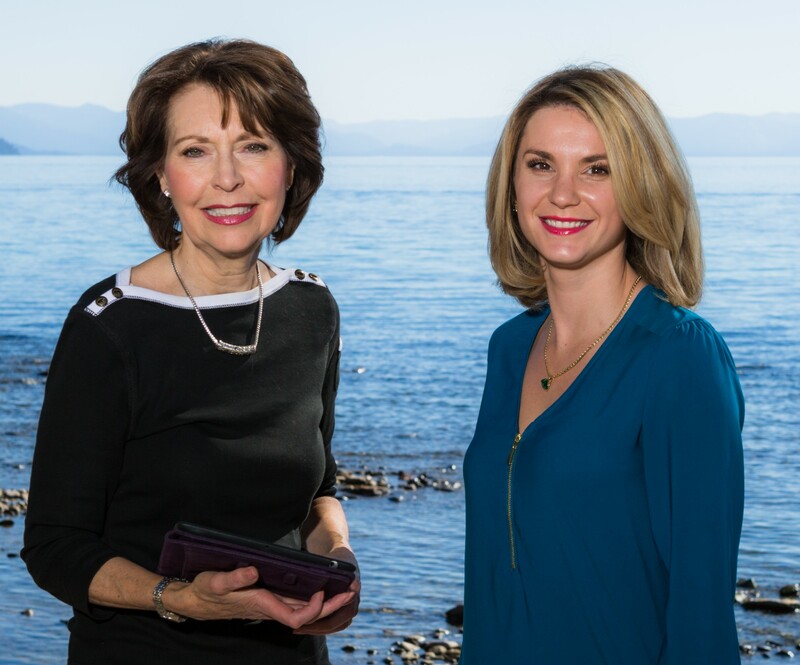 We are here to help you find your perfect Tahoe retreat. Click the links below for more information on all our wonderful amenities. And, as a resident of Incline Village, you will have free access to the gorgeous private beaches and resident discounts at all the other facilities. 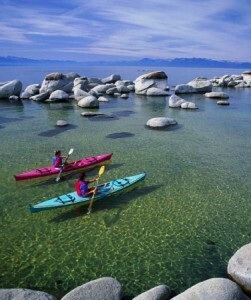 Incline Village enjoys three private sandy beaches on the spectacular shores of Lake Tahoe. Incline Beach features a large sandy beach area with towering pine trees, landscaped lawns, and a flowing creek enriching the magnificent mountain environment. A snack bar, children’s playground, and BBQ areas make it easy for enjoying a delightful day at Incline Beach. Adjoining you’ll find Ski Beach, with a boat ramp, sandy beach, and sprawling lawns under tall pine trees. Amenities include, BBQ and picnic areas, bocce ball, volley ball, as well as kayak and paddleboard storage, all serving to further your enjoyment while spending time at the beach. If you feel like swimming in an outdoor pool, Burnt Cedar Beach is for you. Boasting a beautiful outdoor swimming pool, sandy beach cove, large lawns, picnic and BBQ areas, a children’s playground, and snack bar facilities, Burnt Cedar Beach is a great place for the entire family to enjoy the fun and beauty of Lake Tahoe. A day at the beach is synonymous with living a happy fun-filled life at Lake Tahoe, and Incline Village beaches are the place to be! Incline Village has two exceptional golf courses: a Robert Trent Jones, Sr. par 72 Championship Course with spectacular mountain scenery and lake views; and, the 18-hol par 58 scenic Mountain Course, designed by Robert Trent Jones, Jr. Each course offers 18-hole and 9-hole rates. Located near the heart of Incline Village, the Championship Course threads its way through gorgeous scenery and neighborhoods. You will be impressed at the expansive fairways and towering pine trees leading you from one scenic fairway to another. A practice putting green, chipping, and driving range are conveniently available for readying yourself for your upcoming game. Situated in the surrounds of old growth pine trees, the Mountain Course meanders through challenging fairways, creeks, and lovely neighborhoods. You will be impressed with the mountain atmosphere and stately pine trees. A large putting green is located on-site for practicing and readying yourself for play. If you are new to golf or want to increase your golf skills, lessons are available through the Pro Shops located at both courses. Each Pro Shop also offers an exceptional variety of clothing and accessories. If fitness is your thing, the Recreation Center is the place for you. Open year-around, Incline Village’s 37,000 square foot year-around Recreation Center boasts activities galore, including an impressive 8-lane swimming pool, fitness center, basketball courts, and activity-oriented classes for all ages, plus a snack bar and pro shop! If you feel like spending time in the pool, you’ll find great opportunities for lap swimming, lessons, and activity-oriented aquatic classes. And, if dance is your thing, you’ll be impressed at the variety of adult and youth classes available for you to enjoy. Bring the family and enjoy the many fun and healthy day and evening activities the Recreation Center offers. Ping-pong perhaps! Whether you sign up for regularly scheduled classes and activities or, decide to drop in for an activity as your time allows, you’ll find there is much to do. Plus, there is a comfortable lounge area, as well as computer terminals available to use. All that and more awaits you at the Recreation Center. Imagine the feeling of playing tennis or pickleball in the fresh mountain air surrounded by beautiful mountain scenery and towering pine trees. The picturesque Tennis Complex boasts 11 tennis courts, 8 pickleball courts, a Pro Shop, fun activities, and lessons for all ages. You’ll be delighted at the various social mixer activities that are offered each week throughout the tennis season. Imagine the fun of getting together enjoying food and laughter during a cheerful late afternoon tennis social, organized by the friendly tennis pros and staff. Be sure to sign up quickly for these popular summer tennis socials. It’s a great time to meet new friends! Keep in mind there are group clinics and private lessons available for all ages too. If you are looking for a fun game of tennis or pickleball, or just feel like resting and relaxing from the comfort of the deck while enjoying a snack from the pro shop or simply to watch the tennis activities, fun, fun, fun is what it is all about at the Incline Village Tennis Complex. Imagine yourself enjoying beautiful days with friends and family while skiing and snowboarding at Diamond Peak with its breathtaking views of Lake Tahoe. With advanced, intermediate, and beginning ski and snowboarding terrain, you can make it a great day for the whole family. If you are new to skiing or snowboarding, or wish to improve upon your existing skills, lessons are available for all ages and levels of ability. In need of equipment? The resort’s on-site Rental Shop carries ski and snowboarding equipment. And, if you desire new clothing and accessories, you will find The Village Loft, a retail shop, easily located in the main lodge. Feeling hungry? Look forward to eating at the various food and beverage locations positioned throughout the main lodge and ever-popular, Snowflake Lodge. Located at the top of Lakeview chairlift, Snowflake Lodge offers tasty snacks and food in the awe-inspiring panoramic surrounds of spectacular Lake Tahoe and encompassing mountains. Come to Incline Village and experience a fun-filled day of skiing or snowboarding at Diamond Peak located near the picturesque shores of Lake Tahoe.